• How do you have a quality monitoring program that is about coaching and developing you to do things right? • How do you get all levels to become engaged in the quality process? 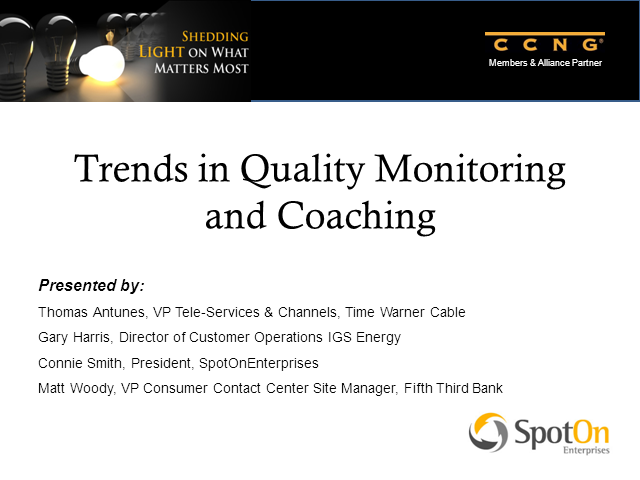 • What are best practices for providing quality across multiple customer interaction channels?